The Age of Exploration, or Age of Discovery, is one of the most important events in the history of the western world. It began in the early 15th century and continued until the end of the 17th century, and involved European explorers using their navigational skills to travel and explore the world. As an event it would lead to transformative changes in the world and bring about an era of globalization, meaning the world became more interconnected than it had ever been before. The voyages of Christopher Columbus, beginning in 1492, are considered to be some of the most important events in all of human history. Columbus explored the New World for European nations and his journeys sparked a long period of European exploration in both North and South America. Many other explorers followed in his footsteps, including: Henry Hudson, John Cabot, Jacques Cartier, Hernan Cortes, Francisco Pizarro, and many more. These explorers would lead to many different events that would forever change and alter the New World. First, and foremost, European Exploration in the New World caused the Columbian Exchange. The Columbian Exchange was the transfer of plant species, animal species, human beings and diseases between the New World and Old World following Columbus’ 1492 voyage. In general, both the New World and Old World changed in dramatic ways as each was introduced to these things. For example, European and Asian diseases caused the death of millions in the New World. Small pox alone was responsible for many deaths, as the indigenous people of the New World had never been exposed to the disease and had not built up immunity. This would allow Europeans to more easily establish themselves in the New World and develop their colonies. On the other hand, the Old World was introduced to new food items from the New World, including: blueberries, corn, potatoes, raspberries, tomatoes and more. Second, European exploration led to the downfall of many different indigenous groups throughout North and South America. As previously mentioned, the Columbian Exchange, caused the deaths of many due to disease, but European explorers also carried out several campaigns against the people of the New World. 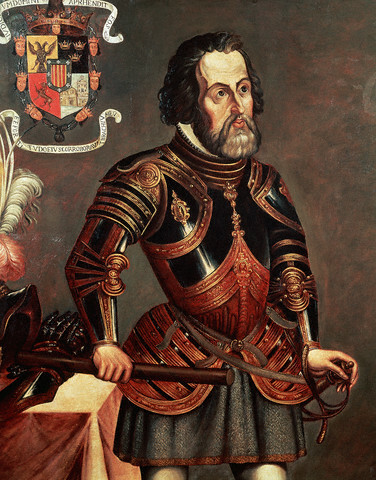 None of these is more famous than Spanish conquistador Hernan Cortes and his conquest of the Aztec Empire in modern-day Mexico. When Cortes and his men arrived into the area of the Aztec Empire they became allies with the traditional enemies of the Aztecs. Together they marched towards the Aztec capital city of Tenochtitlan. In general, Cortes overwhelmed the Aztecs by capturing their leader, Montezuma II, and by leading several key battles against the Aztec people. Aided by the spread of European diseases, such as small pox Cortes took control of the great Aztec capital city. Cortes built Mexico City on the ruins of Tenochtitlan and it became one of the most powerful cities in the Spanish Empire. Third, the Age of Exploration led to the mass migration of peoples to the New World. After exploring and establishing early settlements in the New World, European nations next established colonies along the Atlantic coastline of the New World. Many of the colonies were used as part of the trade triangle which also saw millions of African slaves brought to the New World aboard the slave ships of Europe. Between the 17th century and the early 20th century, millions of European people also came to the Americas and established new countries, such as: the United States and Canada. Today, these North America countries are some of the most powerful and economically prosperous countries on the planet.